Just up from the beach at Port Gaverne, near Port Isaac. 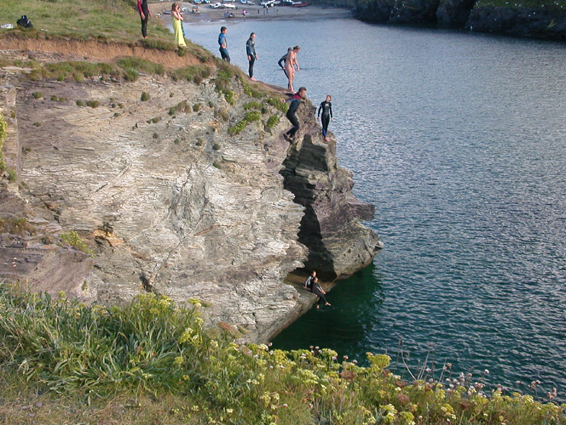 This is quite a popular thing just now - tombstoning! Basically you just get a forty or fifty foot high cliff, stand on the edge, shake a little, jump off into the water and come up grinning!